Japanese sure love beauty candies and treats! 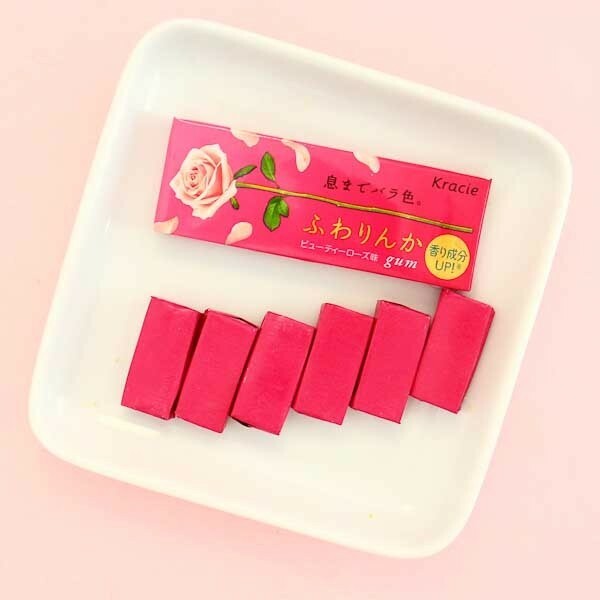 This Fuwarinka chewing gum has a sweet rose flavor and is infused with damask rose oil, vitamin C, collagen, and hyaluronan acid which is used in skin care products. Also known as Beauty Gum, this treat is perfect for rose-flavor lovers and beauty gurus interested in skin care! 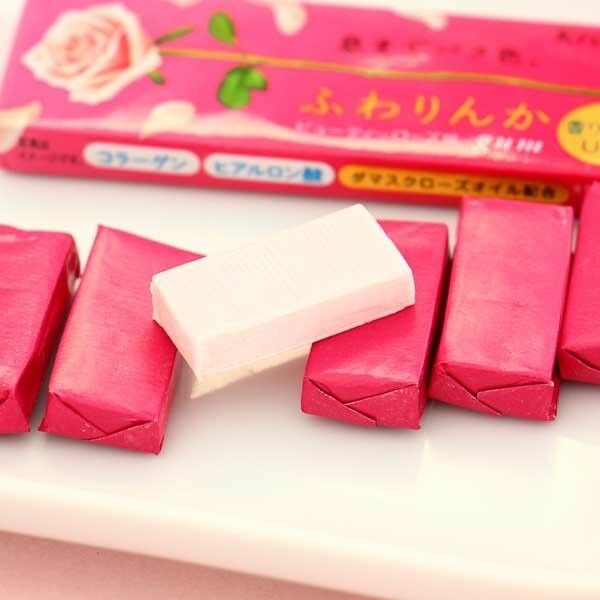 One package contains 6 individually wrapped gum pieces and has a lovely pink design. So cute! Contains damask rose oil, vitamin C, collagen, and hyaluronan acid!